Daily Beast columnist: Planned Parenthood does a "very small number of abortions"
During a recent discussion on The McLaughlin Group regarding a new Georgia law funding pro-life pregnancy resource centers, The Daily Beast’s columnist Eleanor Clift told a whopper of a tale about Planned Parenthood. Translation: 300,000-plus abortions annually, nearly one in every three in the U.S., making Planned Parenthood the country’s leading abortion “provider”. But what some deem paltry. … Planned Parenthood performs about 27.5% of all abortions in the United States, according to the Guttmacher Institute…. If such a “very small number” of abortions are being done at Planned Parenthood, Ms. Clift, then how do Planned Parenthood clinics make over half their income from it? 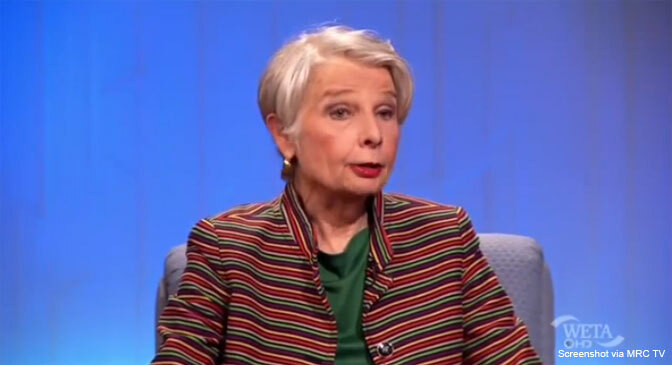 Eleanor Clift is one of those people in the media, apparently, who prefers to remain ignorant of the facts about Planned Parenthood – despite the abortion giant’s own numbers. When it comes to abortion, the mainstream media tends to put on rose-colored glasses, exchanging accuracy in journalism for a script written by Planned Parenthood’s publicists.